The ministry of reconciliation, which has been committed by Christ to his Church, is exercised through the care each Christian has for others, through the common prayer of Christians assembled for public worship, and through the priesthood of Christ and his ministers declaring absolution. The Reconciliation of a Penitent is available for all who desire it and would like to confess any matter that is troubling the conscience. It is not restricted to times of sickness. Confessions may be heard anytime and anywhere. 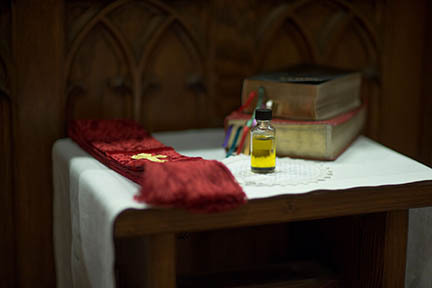 The priest is available for confessions by appointments and on Good Friday.